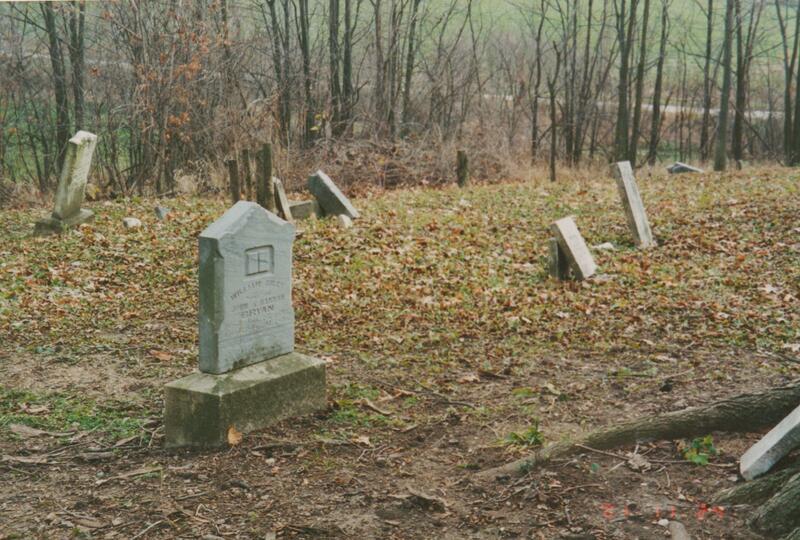 This is the tombstone of Peter Bryan, located in Pingry Cemetery, Bear Creek Township, Jay County, Indiana. The tombstone is inscribed, “Peter Bryan, died Aug 14, 1854, age 57y, 11m, 17d.” Peter was the father of John Bryan, who was featured in my last Tombstone Tuesday blog. Peter is also my 4th great-grandfather. Peter was born 28 Aug 1796, as calculated from his tombstone. He indicated that he was born in Pennsylvania when he was enumerated in the 1850 census, but I do not know who his parents were. I also do not know where Peter and Mary Bryan were married, although they were probably married about 1821-22, probably in either Pennsylvania or Ohio. 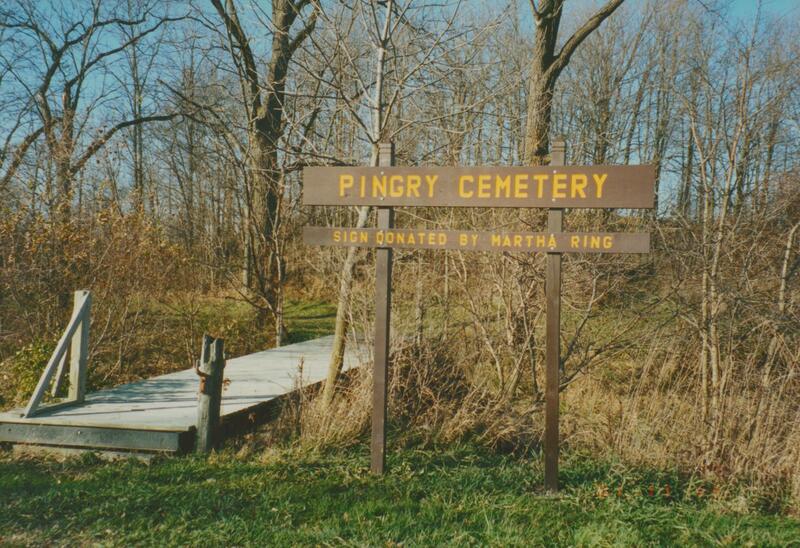 Peter’s wife, Mary Huey Bryan, and their grandson, William Riley Bryan, are also buried at Pingry Cemetery. 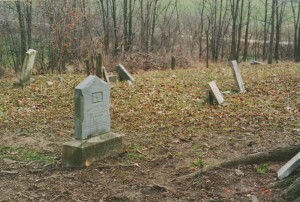 They are buried side by side, Peter on the right, Mary in the middle and William Riley on the left. 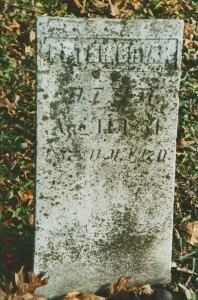 William Riley was the son of John and Hannah (Huey) Bryan. 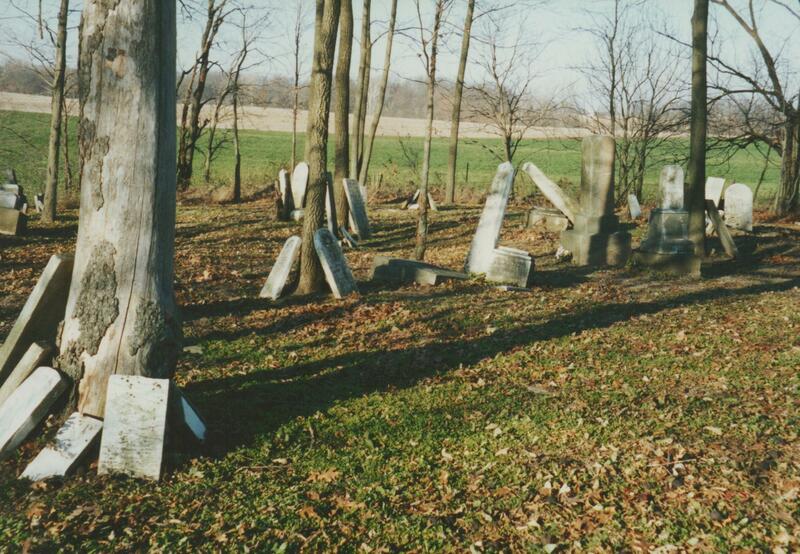 According to the 1887 Biographical and Historical Record of Jay and Blackford Counties, Indiana, page 899, Peter and Mary Bryan had 8 children and John was their second child. I do not know the name of their oldest child, but he was probably born about 1822-23. I assume he was a male because in 1830 there were the following 4 children in the Peter Bryan household: 2 males between 5 and 10 years and both a male and a female under 5 years. (source: 1830 Federal census, Madison Township, Licking County, Ohio; Roll 134:415) John and his older brother were probably the 2 males between 5 and 10 years old. I know of the following six children of Peter and Mary: John (1824-1900, married Mary Huey), Byantha (c1829-aft 1900, married Leonard Curtis, living in Putnam County, Ohio, in 1860 & 1900), Joseph (c1831-?, married Rachael Denney), Hallet (1836-1863, died in the Civil War), Elisabeth (1837-1905, married Andrew J. Huey, lived in Van Wert County, Ohio & Emmet County, Michigan), Peter L. (1840-1915, married 1. Christene McCaskey, 2. 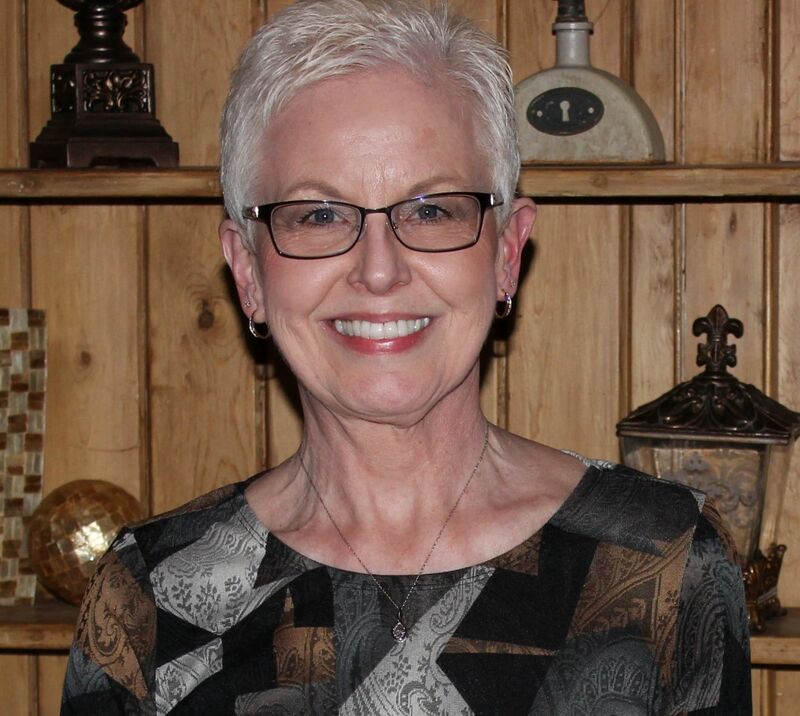 Nancy E. Jones). 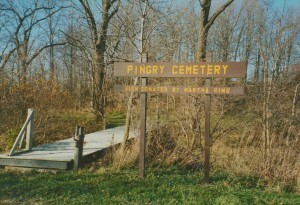 Pingry Cemetery is one of my favorite cemeteries. 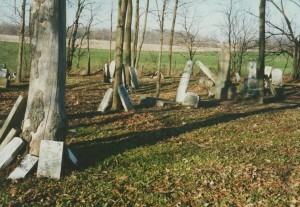 It is a small rural cemetery on a little hill in a wooded area that overlooks a field. 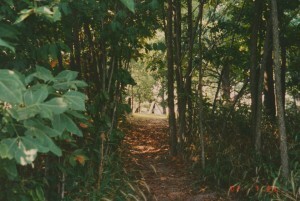 To get to the cemetery you must cross a wooden foot bridge and climb the small hill through a narrow path in the trees. Although many of the stones are now broken, they are inscribed with many family names and other names that I have become familiar with.